Hello there, if you do not already know, I LOVE pigs! I adore them! With their cute little curly tails? Oh how cute! So when I saw this Birthday Farm Animals set from Simon Says Stamp I knew I had to buy it. 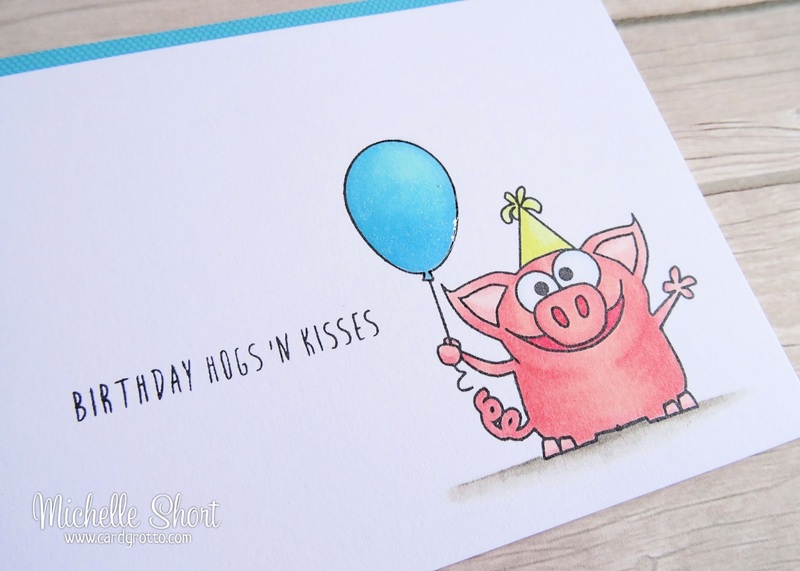 I knew the first image I would use was this cute birthday pig. I have simply stamped him out on to a panel of white cardstock. I have then coloured him using Copic Markers. I stamped the sentiment (from the same set) next to him and then added Wink Of Stella to the balloon and hat followed by a liberal amount of Glossy Accents to the balloon. I love the shine. 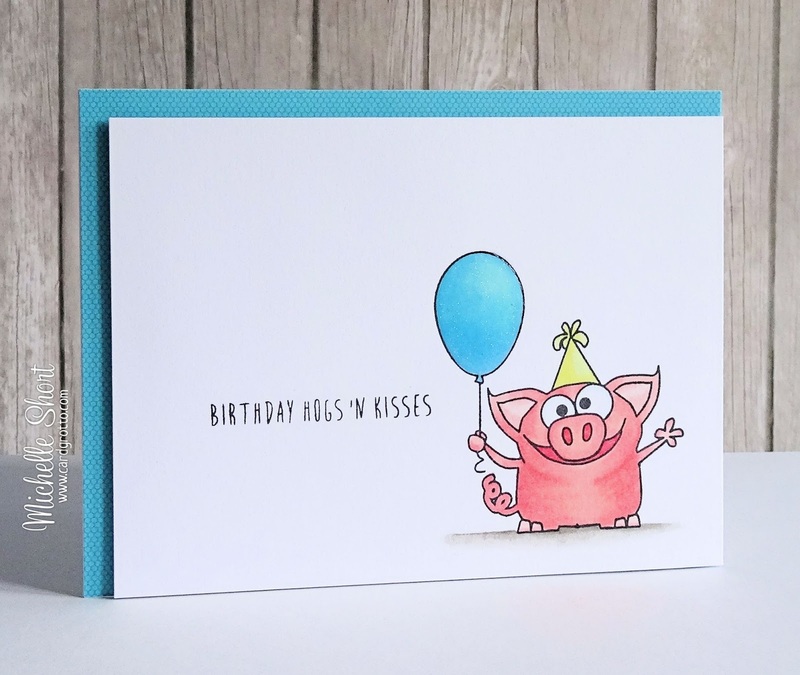 While the Glossy Accents was drying, I took a white card base and added a piece of paper from the Doodlebug Hip Hip Hooray collection on to it. The panel has then been added on top with foam tape. COPIC MARKERS: PIG - R0000, R000, R01, R30, R32, R35. HAT - Y11, Y13,. BALLOON - B000, B01, B02. GROUND- W1, W2, W5. Thank you so much for visiting me today, I really do appreciate it. Have a great day (despite the rain here in the UK! ).